This Designer Bencher is full of class! White matte cover has an ornate textured and raised side design in an elegant color scheme. This Zemirot measures 4.6 x 6.2 and is a four fold bencher. Includes easy to read black print. 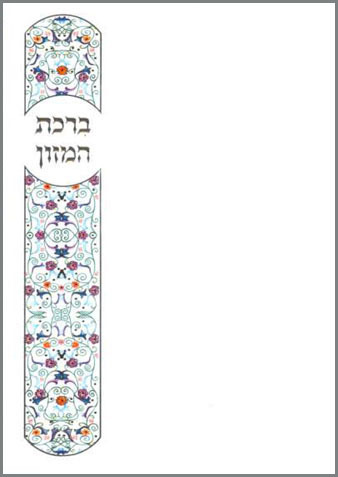 This all Hebrew Zemirot includes birkat hamazon & sheva berachos.